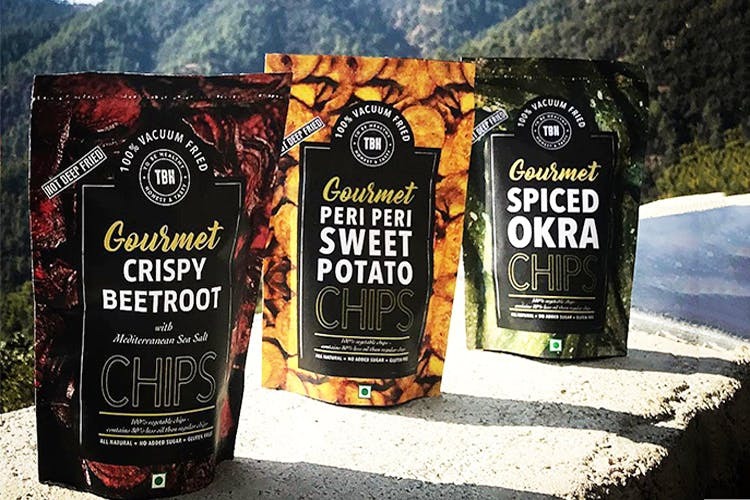 To Be Healthy has vegan vegetable chips that make for the perfect snacks when you're trying to maintain a diet. They've got some great new flavours, too. You might be having your daily meals extra consciously to stay on track with your diet, but the little snack breaks in between are what knocks it off the beam. Be it the occasional packet of chips or the weekend donut, these small junk moments add up. To make these snack breaks healthier, TBH (To Be Healthy) has a range of vegetable gourmet chips that go super low on fat. They've got options like Peri Peri Sweet Potato (our favourite), Tangy Chickpea, Crispy Beetroot, Spiced Okra, and Crunchy Tomato–they're basically veggies served as chips. They told us that they source the freshest produce directly from farmers to make these chips–brownie points for that! Oh, and did we tell you that these are completely vegan? A vacuum frying technology is used for for cooking the chips which basically ends in half the oil usage and low fat chips that have no artificial flavours or colours. They've got three and five pack combos that'll treat you to their chips at a discounted price.